BM, DRCOG, DCH, DPD, MRCGP. Partner Mark originally graduated from the British School of Osteopathy in 1986 where he developed an interest in Medicine. He graduated from Southampton University in 1992 and worked in Southampton, Portsmouth and Bournemouth hospitals before undertaking regular General Practice locum work in a variety of practices. He joined the Brockenhurst and Sway Partnership in 1999. Having originally grown up and attended school in this area, it was a move back home. He lives with his family in Lymington and his main interests are good food, wine and Cricket. Mark is the practice lead for Information Governance, is a GP Trainer and has a particular interest in Dermatology. MBchB MRCP MRCPCH DRCOG MRCGP Partner Originally from Nottingham. Ian attended Leeds University and completed training as a Paediatrician, primarily in the Yorkshire region. General Practice Training followed in 2000 before becoming a Partner in Sway & Brockenhurst. Louise, Ian and their four children, enjoy taking full advantage of the myriad of leisure opportunities in the New Forest and Coastline. Within the Partnership lead responsibility for Child Health and Chronic Vascular Disease including Diabetes, in addition personal interest in Primary Care Research. BM nMRCGP Dr Matthew Davies is well known to the practice, having worked as a GP registrar some years previously, and more recently as a locum doctor. Mat lives on a small holding in Lyndhurst and his passion with his long suffering wife Charlotte is renovating the property, when the demands of a GP partner permits. He owns new forest ponies and is a keen rural supporter of the area. For his sins he is an avid rugby fan, supporting Wales being of welsh descent. As well as being an excellent all round GP, he has a special interest in ENT. MRCGP DRCOG MB BS BSc Melissa studied medicine at St Bartholomew's Hospital, London graduating in 1996. She has since worked in a number of hospital disciplines including obstetrics and gynaecology and then undertook GP training in Dorset. Melissa was brought up in the New Forest and returned to the local area in 2005. Married with 3 young children, Melissa balances an active professional career with family life and a passion for sailing and the outdoors. She has special interests in women's health, diabetes and palliative care. MB BS MRCGP DCH DRCOG Dr Helen Neuenschwander grew up in Bournemouth and trained in medicine at St Barts, London. Following hospital medicine experience including extensive paediatric training, she trained in general practice in the New Forest area, before returning to London to take up a post in teaching and research. Having worked in the Hillingdon area as a GP for several years she is delighted to have returned to the New Forest coast in 2012 with her family. Her special areas of interest are paediatrics, including child protection, and women’s health; she will also be working as a GP appraiser for the Wessex region. Outside if work she enjoys life by the coast with her family and sings in a local choir. MA (Oxon), MBBS Originally from Milford on Sea, Charlotte attended Priestlands school and Brockenhurst college before being accepted to Oxford University to study medicine where she graduated with a BA (Hons) in Medical Sciences in 2011 (later receiving an MA in 2015). She completed her clinical education at Imperial College London in 2014. After qualifying she spent two months training in expedition medicine in Belize, and has since worked at Southampton General, The Princess Anne and Lymington New Forest hospital. When she is not working, Charlotte enjoys long walks on the beach with her dog, discovering new recipes/restaurants and occasional horse-riding. MBBS Originally from Udine, Italy, Michele studied Medicine at the University of Udine graduating in 2013. The following year he moved to the U.K. and started working at St Mary's Hospital on the Isle of Wight. After completing the foundation programme, he moved to Bristol, working in different medical specialities at Southmead Hospital. In 2017 he started the GP training and he has been working at Southampton General Hospital and at the Western Community Hospital. In his spare time, Michele enjoys practicing sports and travelling. Susan, originally from Surrey, qualified in 1989 as an Enrolled Nurse. She started her first post at Southampton General in Orthopaedics, before moving to Portsmouth to work in paediatrics and then district nursing in Kent. While there, she qualified as a Registered Nurse, before moving to Lancashire to work as a Sister for both the Twilight and Night Nursing Service. She subsequently moved into general practice and has been working within the locality for the last 6 years. Her primary interests included travel/women’s health, wound care and cardiovascular disease. Susan has lived in Lymington for the last 8 years with her daughter and both enjoy all New Forest outdoor pursuits, in particular cycling and swimming. 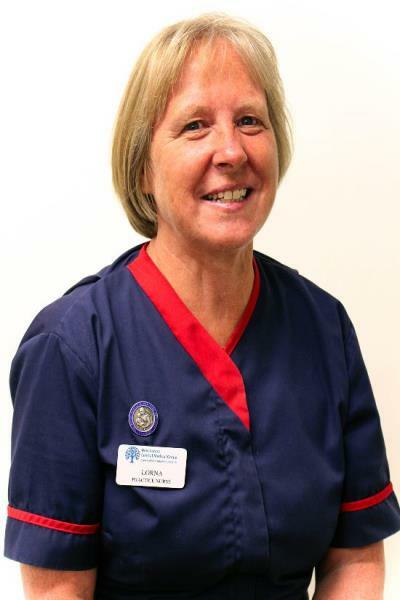 Originally from Scotland, Lorna qualified as a Registered Sick Childrens's Nurse and Registered General Nurse in 1979. She trained at The Royal Hospital for Sick Children, Glasgow and The Vale Of Leven Hospital, Alexandria. After moving to Windsor, Berkshire in 1983 she worked at Wexham Park Hospital, Slough, in the paediatric unit. In 1999 Lorna combined a part time role in paediatrics with a part time Practice Nurse role until 2003, when she moved full time into Practice Nursing. Most weekends and holidays were spent with her family in The New Forest until 2011, when Lorna and her husband were able to move locally. Working part time at the Practice allows Lorna time to share her love of The New Forest with friends and family who frequently come to visit, and to persue her passion for walking and the theatre. Lorna specialist interests are paediatrics and respiratory disease. Rayna qualified as a registered nurse in 2004 from Southampton University. Following a student post at The Arnewood Practice her first posting was as a community staff nurse, where she provided care to patient within their own homes. After having her 3 children Rayna worked as a night nurse for a care company for many years. 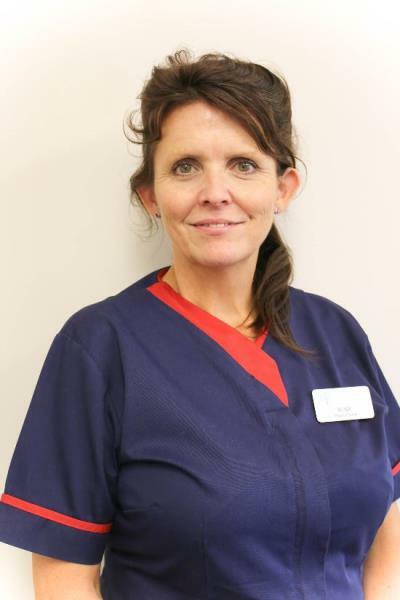 In 2015 she was given the opportunity to assist in setting up The Practice @Lymington Hospital, where she continues to work as a practice nurse on a part time basis. Rayna's nursing experience over the years include working within: Cardiology, Oncology, Breast Cancer Care to name but a few. Mandy was educated at Greggs Secretarial college in Southampton, on graduating she secured a selling and administration role with a large philatelic company. She then further devleoped herself as a typist/receptionist for an insurance brokers and eventually left to start a family. Mandy joined the Practice in 2004 as a receptionist at Brockenhurst and Sway Surgeries, and was promoted to Reception Manager in 2010 working closely with the Practice Manager. Mandy lives in the New Forest area with her husband and teenage son and her interests include cooking, reading and swimming.